ROAD TOWN, Tortola, VI- It was a night to remember as the best of the Soca and Zouk worlds collided in the Virgin Islands for the International Soca Night at Rita Francis Festiville in Road Town on Saturday July 30, 2016. But what would be remembered the most is the Trinidadian Soca Queen publicly requesting a “BVI passport” while delivering her usually energising performance. 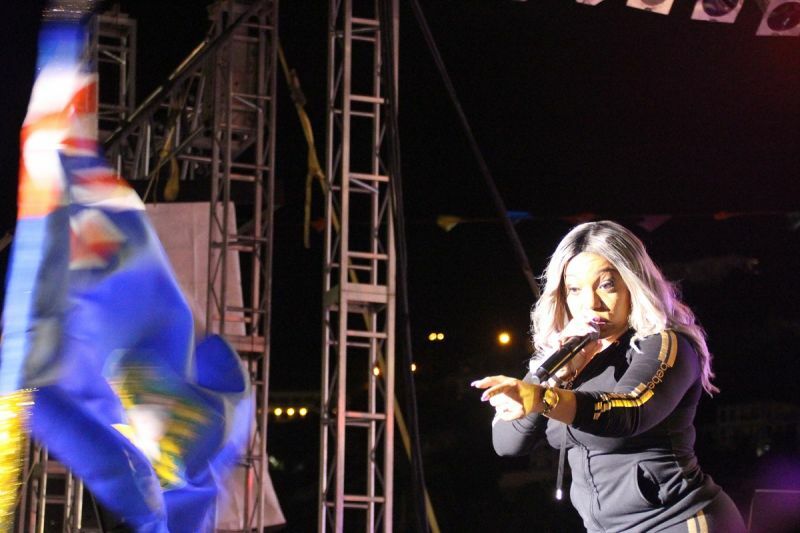 According to Destra, she feels more at home and very well loved when she is in Tortola than in her own homeland, Trinidad. For this reason, she remarked that it would be one of her greatest desires to become a "native." “I love you guys. 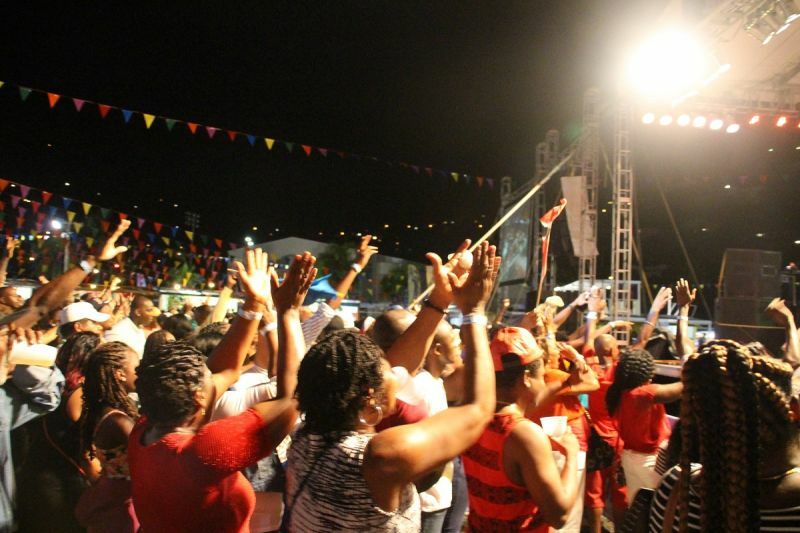 I wish that somebody could give me a BVI passport,” she joked. 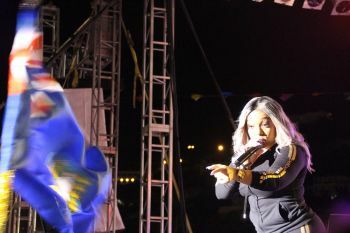 Destra has been a permanent figure in the annual festival line-up for some time now and was the headline act for the night. Long time crowd favorites such as Its carnival, Just a little bit, and new songs like Lucy, among others, saw the crowd in a party mood for over two hours of her performance. She also revealed that she intends on releasing a new album with the international R&B artist, Drake, soon. 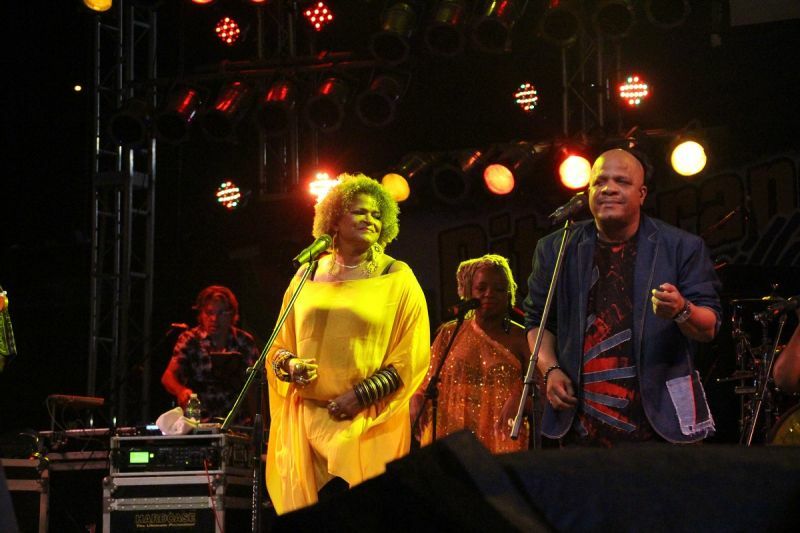 In their usual hyped-up stage presence, the French band –Kassav opened the feting from 1:00 A.M. and closed sometime after 2:00A.M., however, not before making patrons drip with sweat! 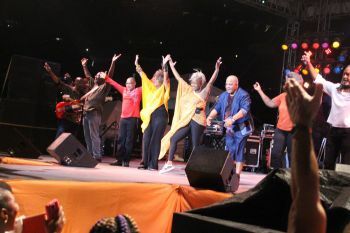 Oh Madiana, Zouk La Se Sel Medikaman No Ni, Siwo, to name a few were real crowd favourites, sang by the famed Joycelyne Beroard and Jean Philippe Marthely in the lead. Persons from the creole speaking Caribbean islands of Dominica, Haiti and St Lucia were seen dancing to the rhythms without a care in the world. The occasional shower scattered the crowd, but just for a while. VIBE Band and B’More also provided entertainment. Men on stage in three piece suit and ladies half dress this is the best we could do? And want BVI passport. Really!! Leh she cart her island @$$. no need for such stupid remarks, idiot! All she got to do is do what all the other women from the different Islands, Jamaica, Dominica, st Kitts, Guyana, st Lucia, Trinidad, st Vincent etc is find a local man, marry him off, wait til she get her passport, then divorce him. Ayo island woman really really ungrateful. Actually I am not married. I was taught to work for what you want. When I do get married, should I choose, it will be for love; a fiancee not a financier - something your kind know nothing about. Love matters. But I guess so do passports and the US dollar. Which one are you? Love matters? Or passport and the US dollar matter? @easy peezy: Please leave Vincentian women our of your mixup. Any ever took your man? Well no she didn't he left you. Leave people man. Them Vince people. Who does play nice and play to be Christians to get in with you? The man them a touchy, feely with other femaels, married and in the church? The woman, when they get what after they done cause so much unhappiness in the man life? All of them, Vincy not excluded, come for one thing, passport and US dollar. Not a thing about love. 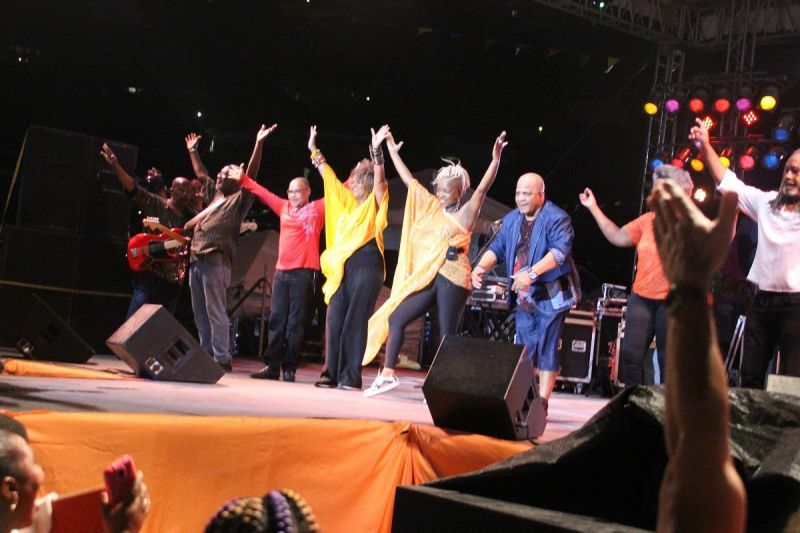 At least Destra up front. 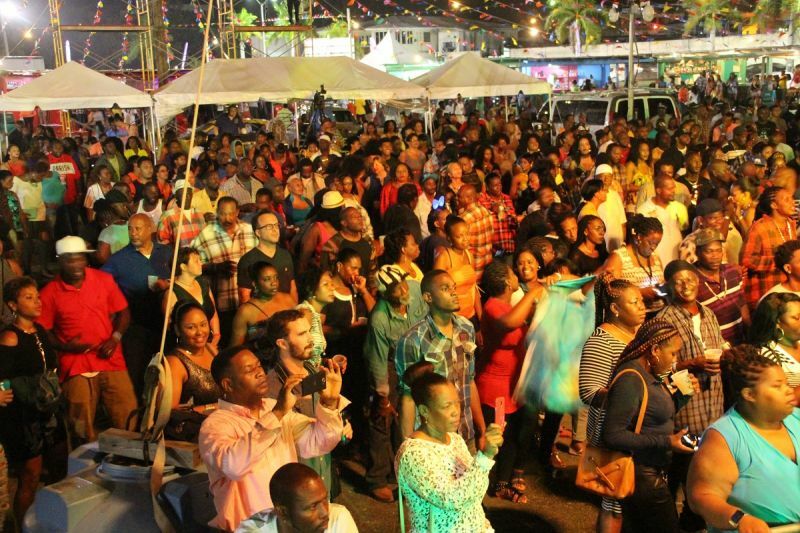 The festival committee needs to stop recycling and find new performers. Why do you stupid people take these thing literally ! Why is this even headline! 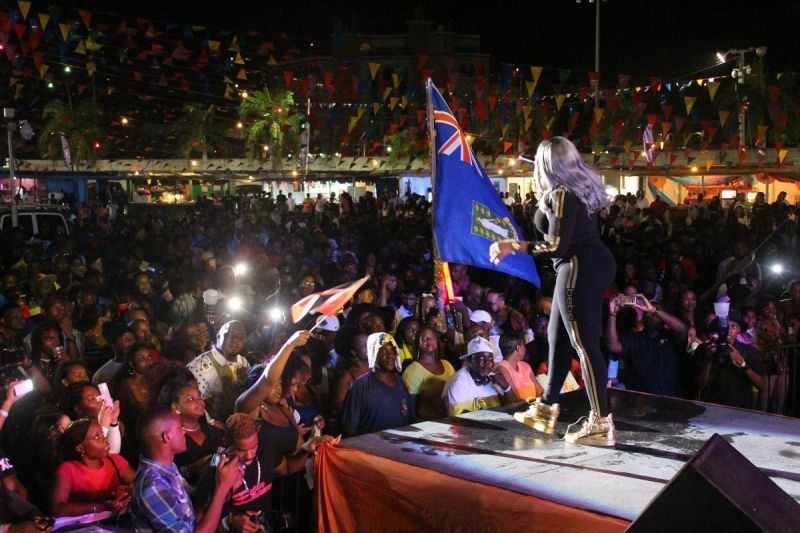 Destra is simply stating that she feels comfortable here. I'm sure she is joking about the passport vibe. Any opportunity y'all get to post something negative you quick to type some $#!+. Why cant we just continue to welcome her with open arms? I've never heard or seen her do anything disrespectful while performing; gosh she's an entertainer!!!!!! We need this type of crowd every night in the festival village. We do not need to be giving anybody anything. Case closed.